Kate Anthony was born in 1965 in the Midlands. Initially she lived near to Stratford on Avon and then in a suburb of Birmingham called Shirley, famed for its Chinese restaurant ‘The Shirley Temple.’ In her teens, her family moved to Windsor, Berkshire and after graduating with a very mediocre English degree, Kate spent twenty-five years living in Central London. During her twenties, Kate became a residential social worker, initially working with young offenders and then with adults with learning disabilities in a variety of care homes. This experience was fun, challenging and often chaotic and despite having taken place twenty years ago, it is the vivid memories of these years, that Kate has found herself returning to now as a writer. Having always been a fan of the Barry Norman Film Programme, one day Kate wrote a letter to its producer asking if there were any jobs available, realizing that this was about as likely as there being a vacancy as a taster in an ice-cream factory or as the lady who makes George Clooney’s bed. However, on the morning the letter arrived, Barry’s part-time clerk had resigned and the job was Kate’s. She went on to spend over a year working in the mornings, collating any information about new films that were in production and being a human answer-phone, and in the evenings and weekends as a residential social worker. She was in heaven. There was huge excitement at the BBC in the late Eighties, when the great Clive James left ITV to embark on a body of work, ranging from his Saturday night show looking at television from around the world, a discussion programme featuring guests such as Gore Vidal and Shere Hite, and the award winning travel documentaries, the ‘Postcards.’ Kate gained a job as a researcher on ‘Saturday Night Clive’ and eventually went on to produce the show. It was a wonderful time to be working in comedy and entertainment; one week you would be speaking to a Japanese game show contestant who’d been buried up to his neck in sand and licked by reptiles, and the next preparing an interview with the likes of Peter Cook, Billy Connolly, Burt Reynolds or a washed up member of the ‘Partridge Family.’ Kate also worked on ‘Postcards from…’ Melbourne and Mumbai. This was the era when you could see Stephen Fry singing an improvised hoedown or the BeeGees storming off set having taken offence at a barrage of jokes made at their expense. In 1998, Kate joined the drama team at Tiger Aspect Productions and went on to produce and executive produce a variety of award-winning projects ranging from Kay Mellor’s ‘Playing the Field’ about a women’s football team, to Tony Marchant’s ‘Kid in the Corner’ and ‘Recovery,’ starring Douglas Henshall as the father of a boy with ADHD, and David Tennant and Sarah Parish as a couple whose lives have been destroyed by brain injury. Kate was at Tiger Aspect when she married in 1999 and for the birth of her first two children. However, in 2004 when twins came along, she waved the white flag on work in order to concentrate on nappies and breast pumps. 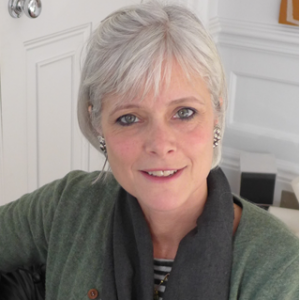 Having always wanted to write but never having had the confidence, Kate began having a go at bits and bobs for friends and eventually, thanks to the encouragement of agent, Georgia Garrett, ‘Beautiful Day’ was born.